For a quick review of the cost to charge ratio, please refer to our "Hospital Cost to Charge Ratio 101" post. In this post, we will review how the cost to charge ratio relates to Worksheet S-10 and then expand on areas for review. We will start with where the cost to charge ratio is derived for Worksheet S-10 Line 1. This is a calculated number taking the costs and charges from Worksheet C of the cost report - Column 3, Line 202 divided by Column 8, Line 202. This will include all Inpatient and Outpatient routine and ancillary costs and charges. Physician Part A Administrative time - Hospitals may find it difficult to collect the necessary data to report allowable administrative time for their physicians, however, there is a basic need to do so. Per cost report instructions, hospitals can claim allowable physician costs up to the calculated RCE limit set by Medicare. In order to claim, hospitals must have auditable documentation to support the Part A time. Support could include time studies or a contract that specifically states the hours/dollars that would be considered each month for administrative duties. In maintaining these records, the administrative amount is then allowable. Otherwise, the entire physician cost including Part A administrative time is considered non allowable. The amount to the hospital could be impacted by millions of dollars. Non reimbursable cost centers - These cost centers are necessary for hospitals since there will always be a part of hospital operations that Medicare will not allow for reimbursement. Hospitals should review their non reimbursable cost centers to verify they are only receiving overhead allocations related to their piece of the organization. This will help ensure proper cost allocations. In some cases, misreporting non allowable amounts could represent millions of dollars. If costs are not matched to charges in the same cost center (which can happen in organizations from time to time), hospitals should review those areas to determine the appropriate action to take on the cost report. 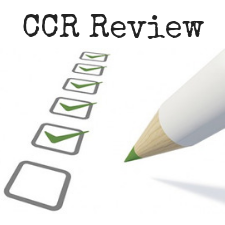 A way to accomplish this type of review is to start with charges by department and revenue codes. For example, the hospital may have revenue code 270 – Medical Supplies allocated to multiple cost centers. These charges, per regulations, should be reclassed to line 71 – Medical Supplies Charged To Patient. For operational purposes, hospitals will have costs going to one department while charges are mapped to another department but this could potentially misstate two cost center lines. Another good example of this in today’s delivery world is mother/baby rooms. These costs, in most cases, are included in the Adults and Peds line of the cost report. Labor and delivery will sometimes have very little costs associated with it, however, there are charges on labor and delivery cost centers. By reviewing the mom/baby department and ensuring there is a reclass of expenses based on an auditable statistic, costs can be moved and aligned with the labor and delivery room. While these checks and examples may not move the hospital’s overall cost to charge ratio, multiple cost centers with unmatched cost to charges could have the potential to impact the overall cost to charge ratio that is then reported on S-10. There are many more examples that we could share but the bottom line is that reimbursement teams should ensure that they reconcile with hospital operations so that they are able to better evaluate cost centers. This will ensure that the cost report adequately takes into account the operations of the facility and how operations impact charges and costs. Each cost center has the potential to impact the overall cost to charge ratio on Worksheet S-10. If a hospital doesn’t analyze the individual cost centers and how they are changing year over year, the probability of having an error is usually greater. To wrap up, Worksheet S-10 is driving two-thirds of a provider’s Factor 3 and ultimately their portion of Uncompensated Care payments. Not only is S-10 now driving a significant portion of reimbursement dollars for hospitals on the federal level, it has been mentioned in potentially determining 340B eligibility in multiple pieces of legislation and looked at to determine and distribute state Medicaid waiver payments as is the case in Texas. The impact that S-10 has and could have on provider reimbursement warrants a thorough review of ALL S-10 data including cost to charge ratios so hospitals can best position themselves to secure their share of reimbursement.